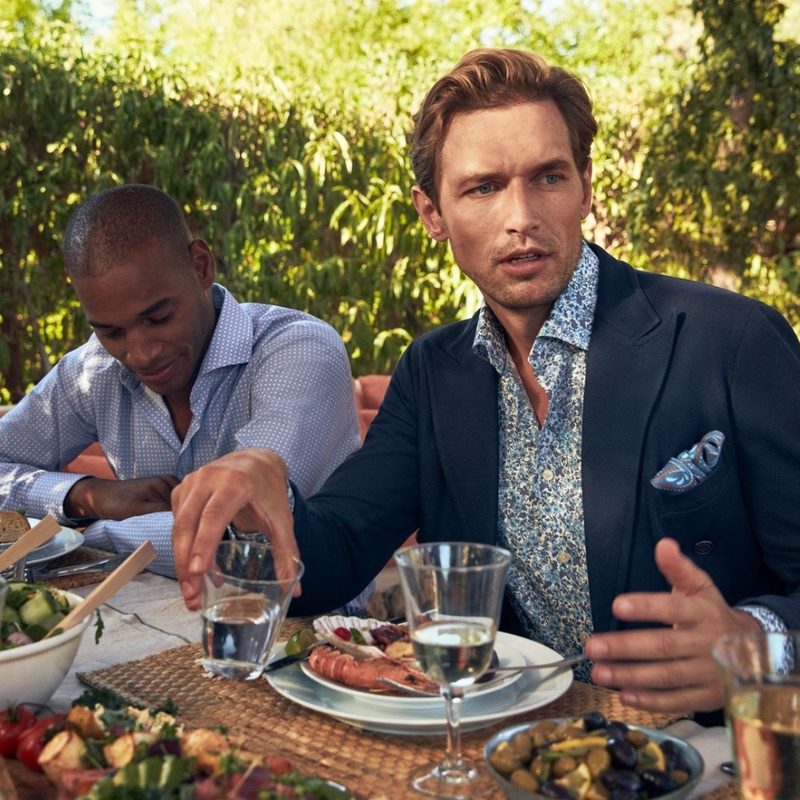 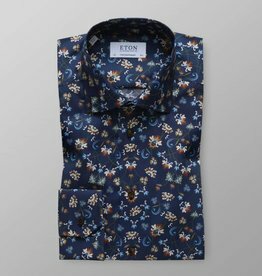 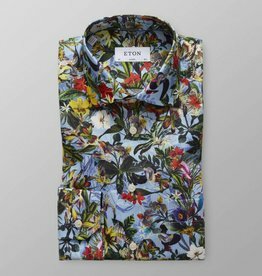 Cut from the Eton crisp poplin fabric this shirt is the perfect choice if you want to add a luxurious print to your wardrobe. 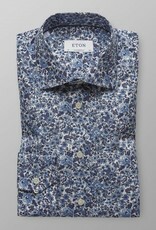 The floral print is hand painted in easy-to-match hues of colours. 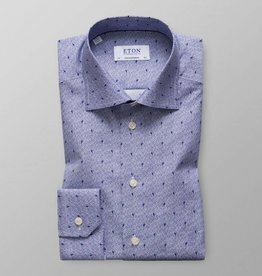 Wear this shirt with an unlined suit and a matching pocket square, let the top two buttons unbuttoned and your evening will be as crisp as you. 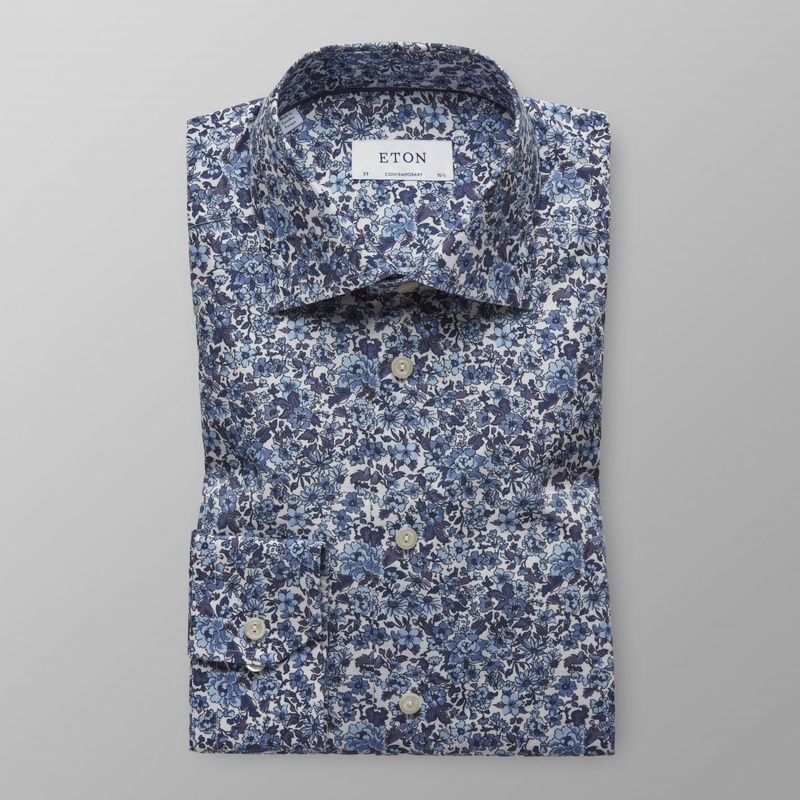 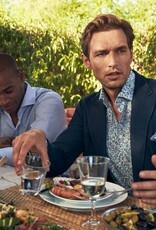 This crisp poplin shirt stands out with its floral microprint and raindrop sized birds. 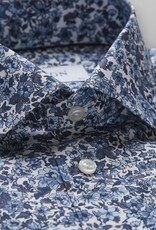 A modern floral design printed on our twill fabric and refined with micro dots in vibrant colours. 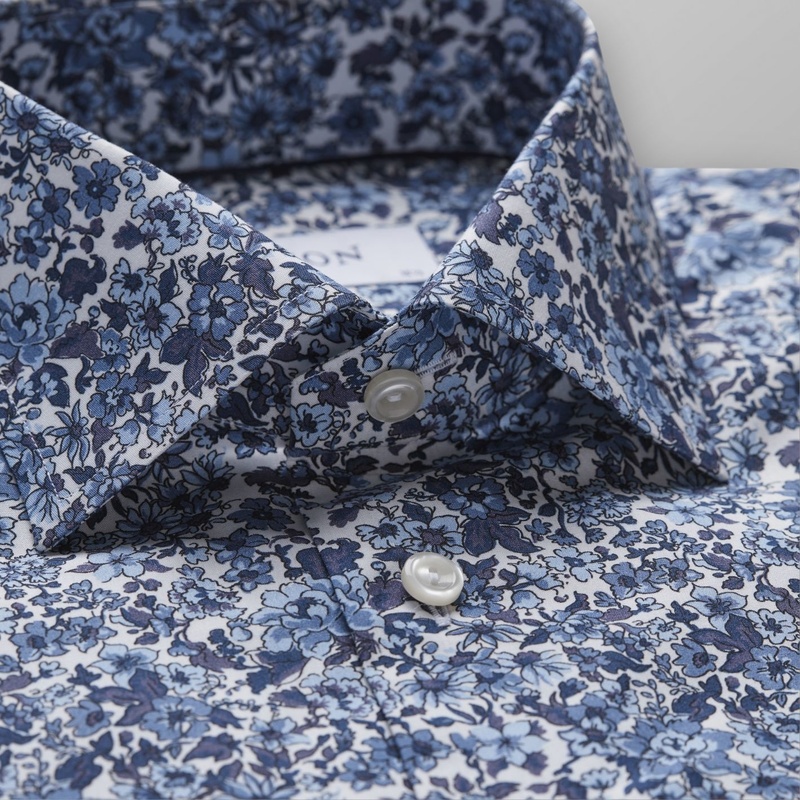 At first glance you'll find a multitude of flowers seemingly familiar to their nature.